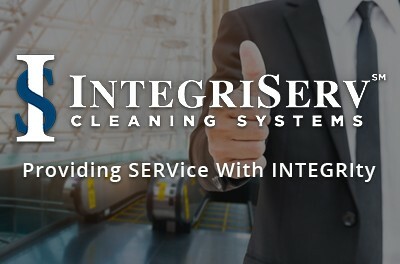 IntegriServ Cleaning Systems® is a commercial cleaning service that was founded on the deeply held belief of providing service with integrity. The IntegriServ Cleaning Systems® concept has been well-tested for over 20 years. We focus on thorough and comprehensive training, routine follow-up, and consistent communication with our franchise business owners to ensure that the needs and expectations of each customer are being met. We are actively involved in coaching our franchisees in the success of their commercial cleaning services, and we engage in regular communication with our clients so that we, as an organization, are always working towards achieving customer satisfaction. Is your place of employment looking for a professional (Cleaning/Janitorial) company to properly maintain their facility? If so, click here. 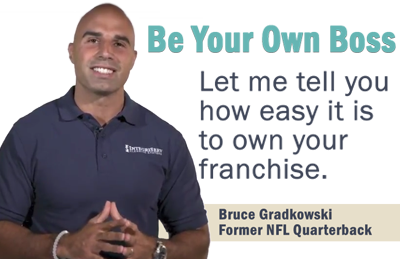 Are you interested in owning your own business while being supported by our team? If so, click here to learn more. IntegriServ Cleaning delivers consistent cleaning using hospital-grade disinfectants, new technologies, and efficient processes. IntegriServ business owners complete comprehensive technical training programs as well as on-going education. IntegriServ Franchisees are small business owners who live in your neighborhoods, work in your communities, hire local staff, and know their customers. Them: Who's In Your Building? IntegriServ is headquartered locally, allowing our skilled team to quickly assist customers and provide support to our franchise team. Them: Assistance Coming From Where? We start our relationship with a plan for service that's based on yourfacility, your specific needs, and your expectations. Fully-trained IntegriServ business owners make it easier for customers to manage carpet cleaning, hard floor care, and window cleaning needs in addition to routine cleaning.